Home » Posts Tagged "Payroll deduction"
Senator Steve Abrams (R-Arkansas City) has released a proposed school finance formula pilot project in Senate Bill 249. Abrams, a former member of the State Board of Education, has long had an interest in the school finance formula and this is his vision moving forward. With the two-year block grant proposal on the Governor’s desk, Abrams is proposing piloting a new formula with the six school district members of the Coalition of Innovative Districts (Hugoton, Blue Valley, Concordia, Marysville, McPherson, and Kansas City). State Equalization Aid, based not just on assessed valuation per pupil but also factoring in federal adjusted gross income in the district, and home values in the district. School districts would be able to levy a local property tax which would be known as the Local Portion Levy Budget which would be equalized under the new State Equalization Aid formula. The bill is based on flat funding as is the case with the Block Grant bill. It continues the current 20 mill state-wide school mill levy for another two years. Probably the biggest sticking point in the bill is the Success Incentive program which would require the gathering of a significant amount of data on district graduates. been employed not less than 30 hours per week and had an individual education program as a child with a disability at the time such student graduated from high school. Obviously this would require a significant amount of data collection which is not currently being done. Legislators – particularly House members – have shown a reluctance to allow the collection and sharing of student data especially if that data is personally identifiable. There have been a number of bills this year and last to restrict student data collection. There will be a hearing on this bill in the Senate Education Committee tomorrow. It has been double-referred to both the Education and Ways and Means Committee so it would need to pass both to move to the full Senate. House Bill 2096 was not on the Senate floor today. I could be by tomorrow. This bill strips state and municipal employees of most of their collective bargaining rights and prohibits payroll deduction for things not required by statute or an employee benefits program. The right to payroll deduction for association dues and other voluntary programs would end. Make sure you contact your Senator and urge him/her to vote NO on HB 2096. 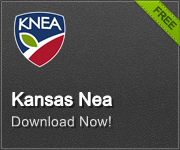 Click here to access the KNEA Legislative contact portal! Click here for a roster of Senators with phone numbers and emails. For today, tomorrow and Wednesday, legislators in both chambers will be on the floor – in Committee of the Whole – to clear out the backlog of bills on their calendars. Bills that are not in exempt committees must pass the second chamber by Wednesday in order to move forward. The Legislature will be out Thursday and Friday, then return on Monday. Friday, April 3 is “drop dead day.” It is the day by which legislation is done with the exception of the final budget and revenue acts.